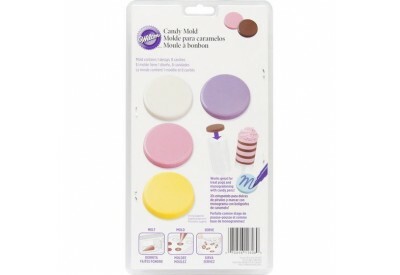 Wilton Candy Molds contain 1 design and 8 cavities. 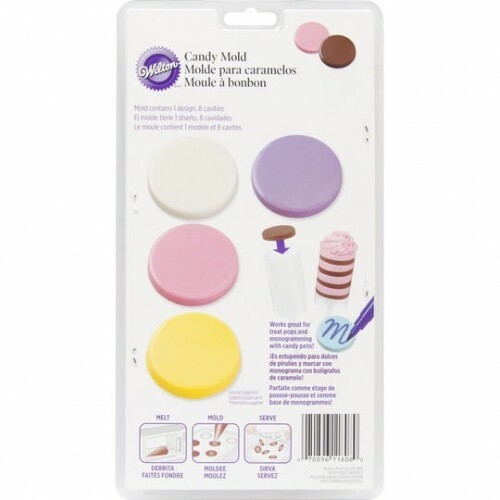 Mold colourful candy discs, perfect for monogramming, layering in treat pops and decorating sweet treats. Follow the easy instructions on Candy Melts candy package. Fill the mold to the top with melted candy in desired color. Tap mold gently on surface to remove air bubbles. Chill until candy is firm.